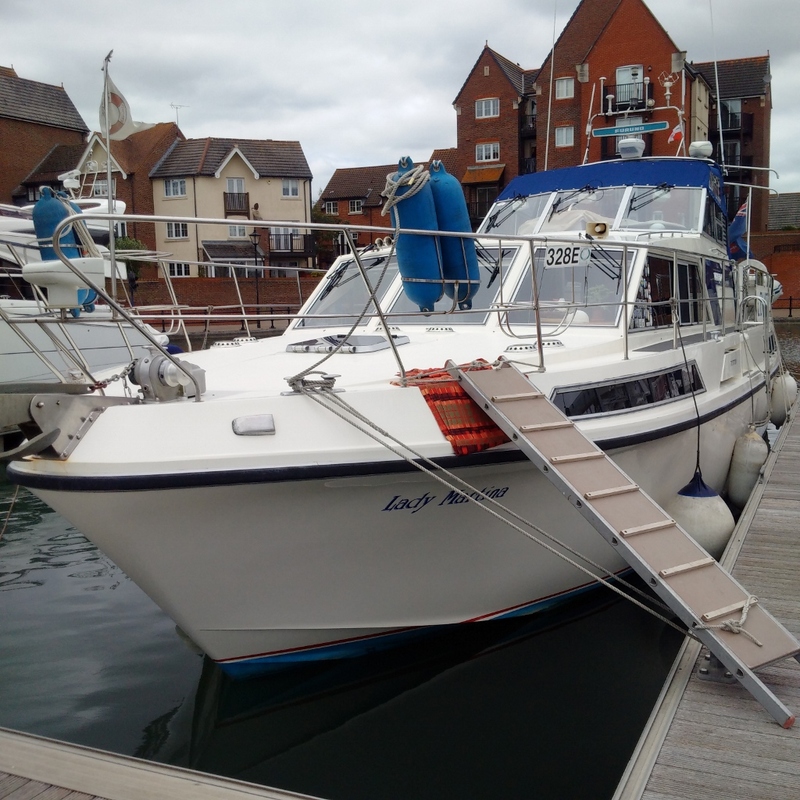 This was our second leg of the cruise along the South Coast of England which we plan to complete in this month of June 2015. 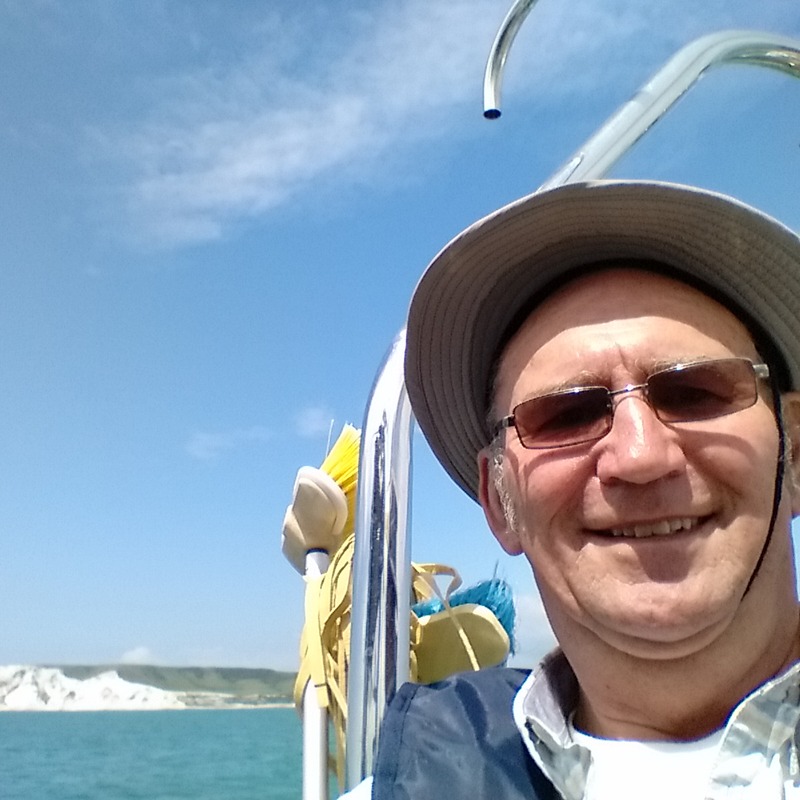 In the previous passage, we had stopped short of cruising the whole way to Brighton because it meant arriving at low water, which they cannot accommodate for vessels with <1m draft these days (!) and it would also have meant a passage of more than ten hours in total at our fuel-saving speeds. Conveniently, the weather was fine two days after we arrived in Eastbourne, leaving the intervening day for rest and recuperation. Fine weather, comfort and economy were again the objective but this was planned to a relatively short passage of 3 hours at 8 knots and therefore, on these long June days of maximum daylight from an 'all-tide' port, we could choose a time of departure to carry the tide and arrive at the Brighton Marina, Black Rock, at least 3 hours before low water. 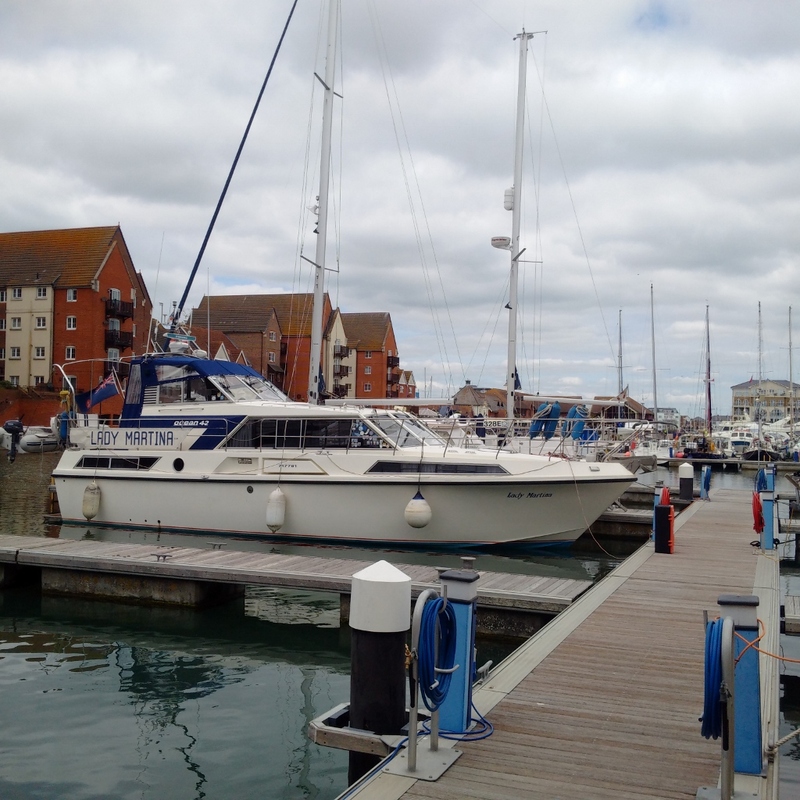 In fact the 12 noon LT lock got us out of the Sovereign Harbour Moles early and so we cruised at 7knots, for 3hrs 30mins which was even more economical. The weather could not have been better; very light winds, smooth seas, warm temperatures and good visibility. Electricity: by 10Kwt card but supply fortunately jammed on!